Over/Under: Over 193.0 at 1.90 Bet Now! Heading into Game 4 of the 2015 NBA Finals and it would be fair to say that the Cavaliers have been frustrating the life out of the Golden State Warriors. Most observers were tipping a comfortable Warriors win in the Finals but the Cavaliers have prevented the Golden State side from playing their normal fast-flowing basketball action. If the Cleveland side can triumph at home once again in this match, they will have a very commanding lead behind them as they make their way back to the Golden State! The key factor in the past two games has been about the Cavs slowing the tempo of the game down. This has badly disrupted the Warriors and even MVP Stephen Curry has looked out of shape so far. He had a strong last quarter in Game 3 but he was virtually non-existent for the first thirty minutes in that game. In this series, you cannot mention Curry without comparing him to LeBron and James has been dynamite. He has averaged 41 points, 12 rebounds and 8.3 assists in the three games of the series so far. Over the three games so far, LeBron James has managed a total of 107 shots, making just over 40% with them. The Cavaliers will once again be without Kyrie Irving and Kevin love, while they will need to wait and see if Iman Shumpert and Matthew Dellavedova will be available for Game 4. Shumpert injured his shoulder in Game 3 while Dellavedova ended up going to hospital after suffering from cramps. To be fair, it was a monumental performance from Dellavedova, and if anyone on that court deserved to feel a bit tired at the end of it all, it was him. The Warriors are now 80-20 for the season after their recent losses and this includes a 33-16 record on the road, with a 7-3 record in their last 10 games. The Cavaliers are now up to 9-1 in their last 10 games and have a 67-32 record this season, which includes a 38-11 record at home. If the Cavaliers can add to that home tally, they will be in a great position to take the title, and you can see this game being a pivotal one with respect to the destination of the NBA crown for this season. The Warriors lead on average points for, with 108.7 to 102.7 and for average points against, the Cavaliers lead 97.8 to 99.2. 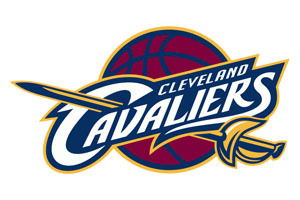 There is a lot to be said for siding with the Cleveland Cavaliers and you can find them at +2.5, with odds of 1.90. If you are looking to take the Over/Under market, you should be looking at going OVER 193.0 at odds of 1.90. 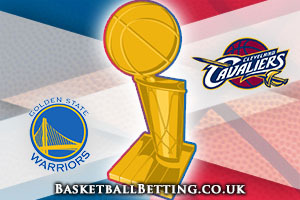 The bookmakers are still making the Warriors favourites to win this game, the Money Line for the Warriors standing at 1.66. The NBA Finals represent a big opportunity for basketball betting fans and as we are now at Game 4, we are quickly heading towards the climax of the NBA season. Bet Now!